Given the Arab region’s renewable energy great potentials, increasing renewable energy share in energy mix represents the most viable solution to meet the rising energy demand. Also, more efficient use of energy and renewable energy sources exploitation will enhance the Arab region’s chances to eradicate poverty, improve access to water, food, healthcare, education, and create jobs. Sustainable energy share in the energy mix contributes to a sustainable economic growth as a top strategic priority for Arab leaders. In its attempt to address this important topic, the Executive Bureau of the Arab Ministerial Council for Electricity has issued a decision (No. 192) which stipulates holding ”a forum on funding mechanisms and financial incentives to promote renewable energy and energy efficiency”. The first forum was held in April 2012. It was attended by high-level governmental officials, field experts and international organization representatives. It focused on issues that directly affect the financing of renewable energy and energy efficiency projects. Following on the results of the first forum and based on the challenging discourse surrounding RE and EE job creations and the related role of SMEs, the second forum tackled in 2014 means to enhance the Role of Small and Medium Enterprises (SMEs) in Promoting Renewable Energy and Energy Efficiency. 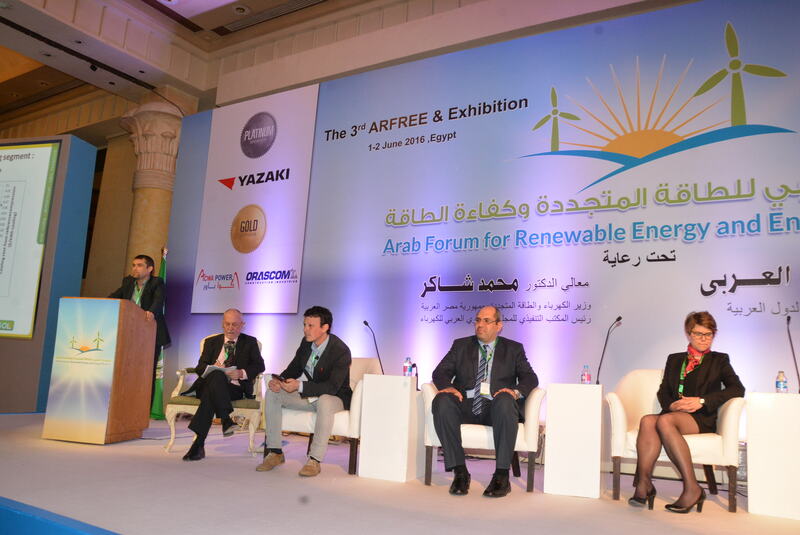 In 2016, the 3rd Forum is now focusing on how to clearly reach the targets of Arabic countries in term of Renewable Energy and Energy Efficiency. The agenda of this 2 days event can be found here. A specific presentation on Task 53 and solar cooling has been held by Daniel Mugnier, operating agent of IEA SHC Task 53 during the Session 2 of Plenary : "Untapped Technologies, Services and Applications in RE&EE".